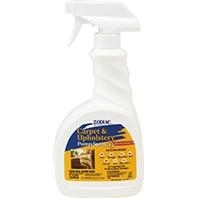 Kills fleas, ticks, roaches, ants, earwigs, silverfish and more while continuing to kill Flea eggs and larvae for up to 7 months! This container features a unique, inverted applicator for quick and convenient flea and tick control. 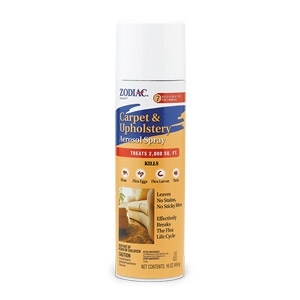 Since it is a water-based formula, there's no odor sticky mess or stains. One 16 ounce can treats up to 2,000 square feet. Kills fleas on contact! 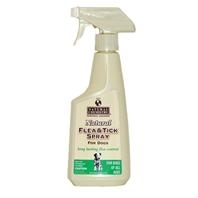 This Product does not use pyrethroids or similar chemicals to achieve results, so fleas and other parasites do not become resistant, Thus, the product never loses effectiveness. 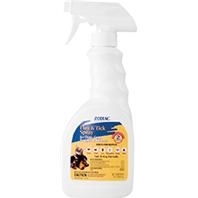 DE Flea Pet & Bedding Spray can be used on the pets bedding, carpets, furniture as well as directly on the pet. 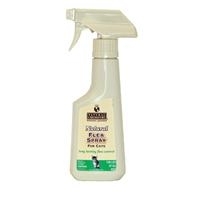 • Kills Fleas, Ticks, Roaches, Ants, Earwigs, Silverfish! 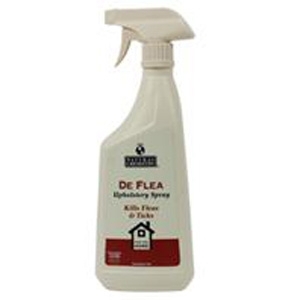 DE Flea Pet & Bedding Spray can be used on the pets bedding, carpets, furniture as well as directly on the pet.